Xena (the #Sooke Warrior Princess!) 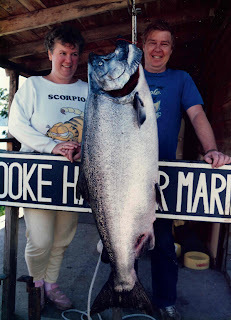 wins a FishingSooke.ca t-shirt for the first report of a salmon caught after using Sooke's new boat launch. Her report from last week: Otter Point Trailer Park, 2 winter springs, caught at 160 ft in 170 ft of water, silver betsy flasher, shorter anchovy with glow head. 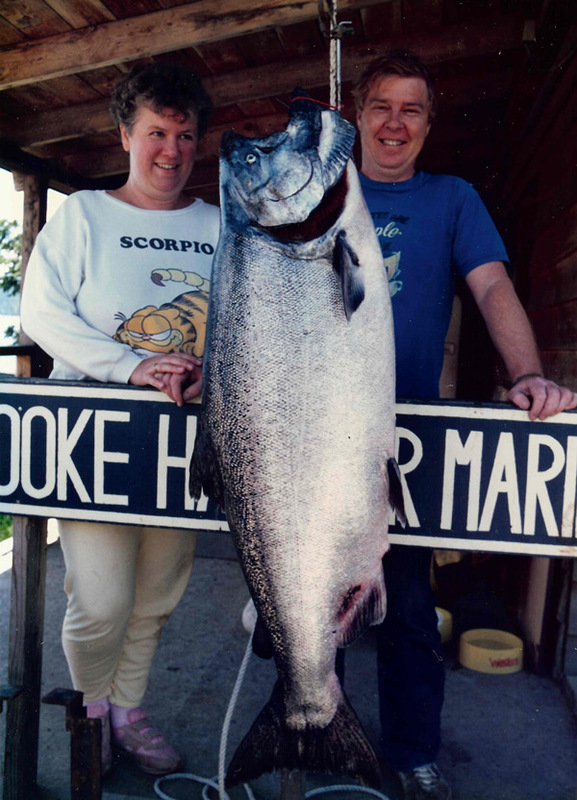 Xena did not take a photo of the salmon -- but her father-in-law Red brought this pic of a 66.4 lb Sooke monster caught in 1988. Yowzah! That fish-of-a-lifetime won $15k in prizes from a year-long salmon derby from the Victoria newspaper.